It is up to Ravi (Nagarjuna) who has to rescue a flight from Chennnai to Delhi which is hijacked by Yousuf Khan s men. © 2018 Scratchu.com Gaganam | Nagarjuna Akkineni, Prakash Raj, Poonam Kaur, Harshavardhan, Brahmanandam, Sana Khaan, Bharath Reddy, Melkote, Sri Lakshmi, Ravi Prakash, M.S. 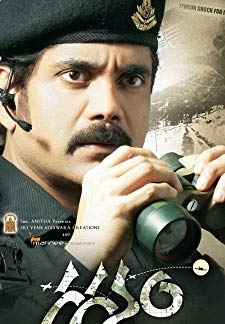 Bhaskar, Thalaivasal Vijay, Kumaravel, Prithvi, Satyam Rajesh - Gaganam (2011) | Telugu Movie | 7.1/10 | Synopsis : It is up to Ravi (Nagarjuna) who has to rescue a flight from Chennnai to Delhi which is hijacked by Yousuf Khan s men.... Watch Online!! !